At the International Water Association’s ‘Embrace the Water’ conference in Gothenburg, Sweden, Helle Søholt, CEO of Gehl, highlighted how water can benefit public life in cities and the importance of urban design being people centric. Gehl are focused on building cities for people and making sure all their work benefits those that live, work and move around cities today. Integrated design solutions have been identified as one of the biggest challenges facing city authorities in getting people across different silos to work together. One of Søholt’s key points was that there is a common denominator with all of the risks we are facing; people and their behavioural change, which need to be addressed in all the solutions that are being formulated. When the city of Gothenburg were formulating its strategy a team was gathered across all the various departments to sit together in the same space in the harbour to come up with new solutions. The city of Copenhagen was highlighted as a leading example after the designing of a climate neighbourhood in the northern part of the city, where they have engaged local citizens through a local office where people can be involved in the design of plazas and streets. 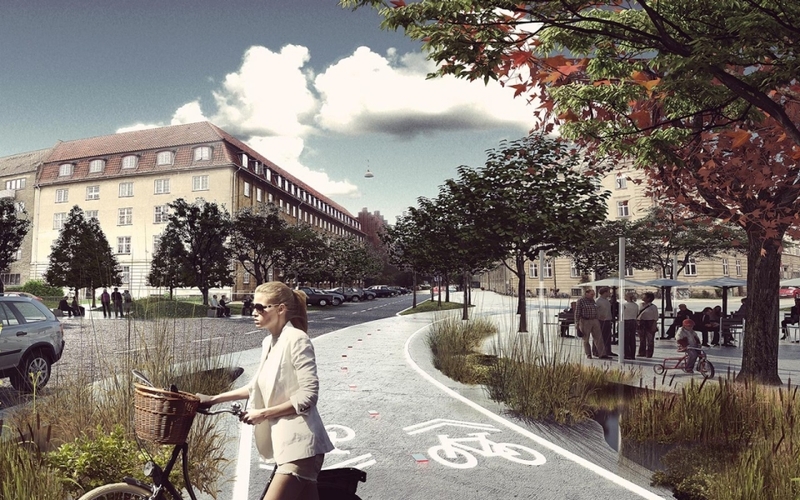 Authorities have also recently created a green city strategy for the whole of Copenhagen. One of the elements in this strategy is planting 1,000 new trees in the city, where the citizens were asked to vote for the streets in most need of greening and climate adaptation design.